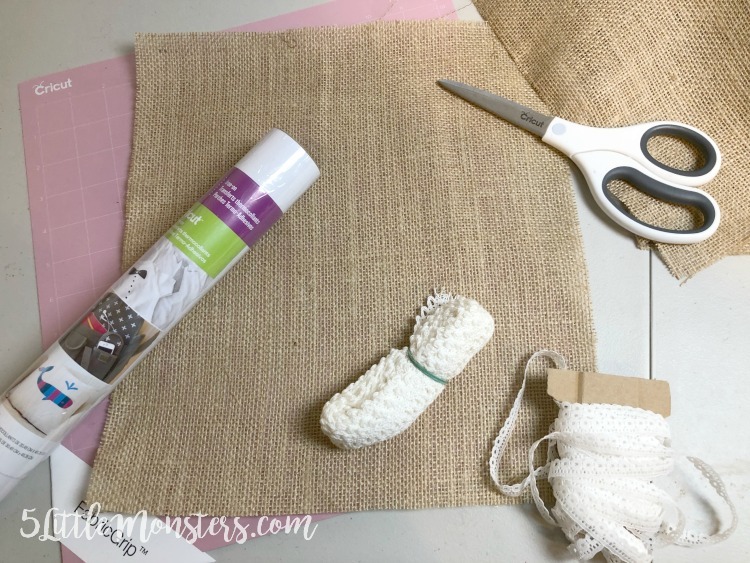 I feel like this month I ended up with several craft challenge posts all ending up being scheduled within just a few days of each other and today I have another one. 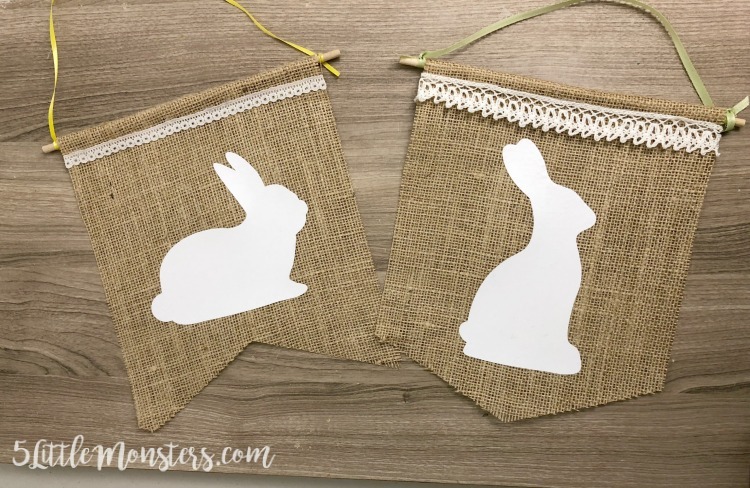 Today's challenge is the Create with Cricut Challenge where each month several bloggers share projects they made using their Cricut and a specific material. 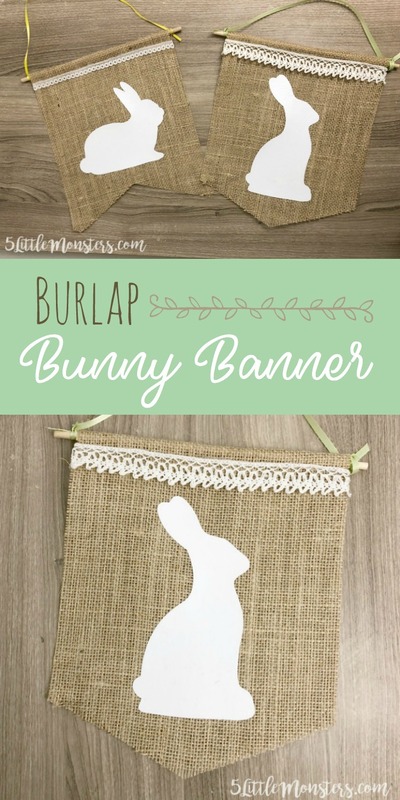 This month the material is burlap. 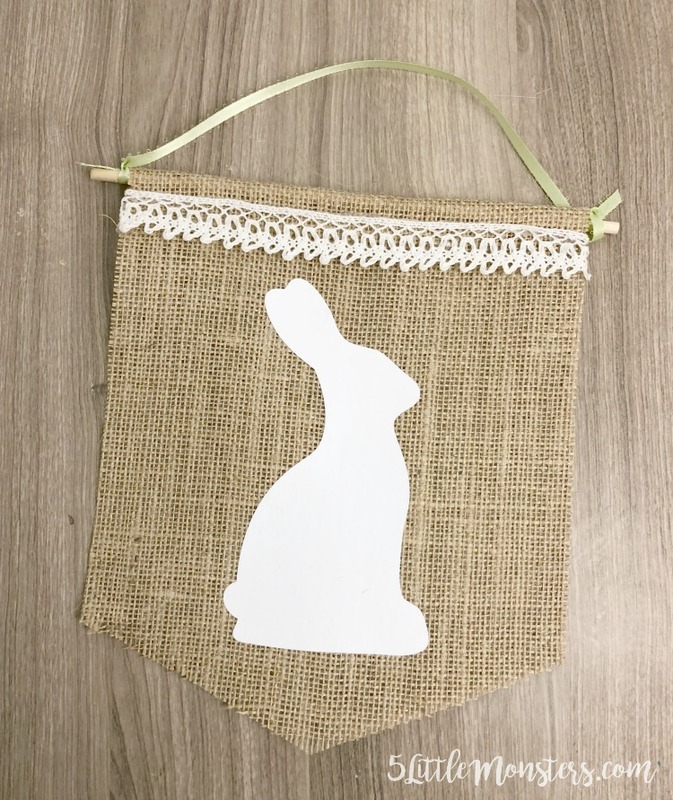 I decided that with Easter just about a week and a half away I would make a simple Easter project. 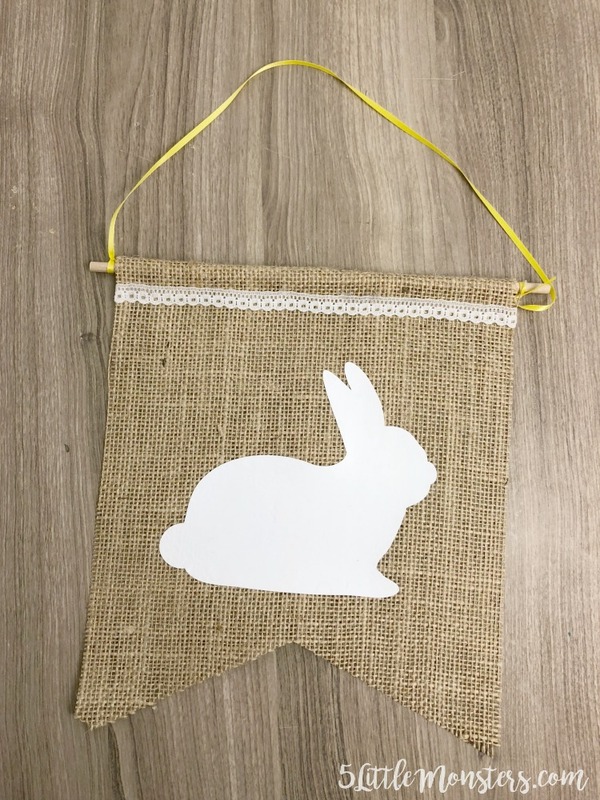 I cut the banners with the rotary blade on my Cricut Maker, added a white vinyl bunny and then glued the top around a dowel. Then I added some lace trim and a ribbon. It was a super quick and easy project to make. Open this design in Design Space. I used 2 different shapes for each the banner and the bunny because I couldn't decide. Cut the dowels so that they are just a bit longer the top edge of the banner. Glue some lace along the top below the dowel.